Plain Baked asparagus is an amazing side dish, but you will love this spin on a classic dish. 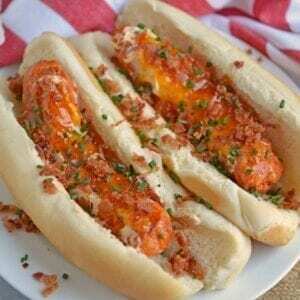 Add bacon and apricot preserves and you have a whole new flavor! 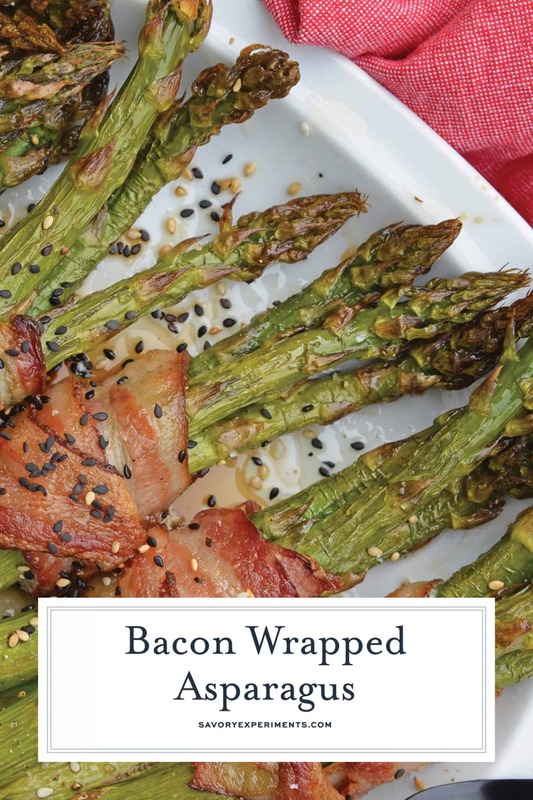 Bacon Wrapped Asparagus with apricot preserves is a mouthwatering side dish that belongs next to anything grilled. 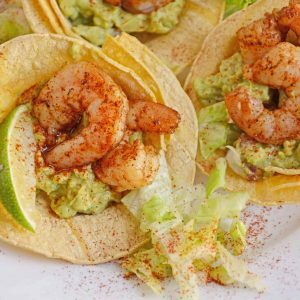 This recipe can even get picky eaters to start eating asparagus! 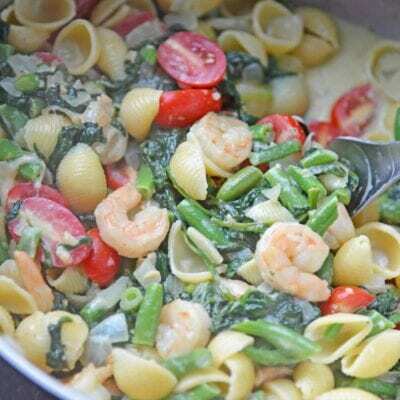 This recipe was a modification on an original recipe for Sweet and Sour Asparagus. I added bacon! Cause who doesn’t love bacon? And I also love asparagus. 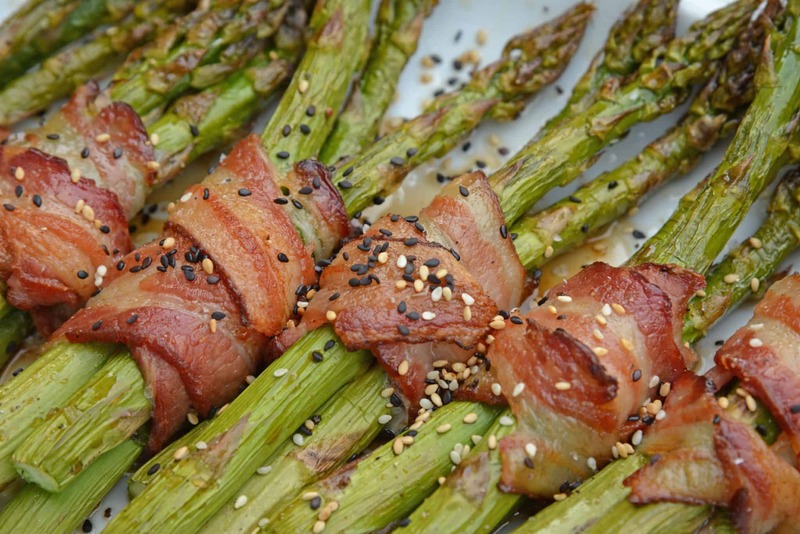 Here are some tips on how to cook bacon wrapped asparagus! 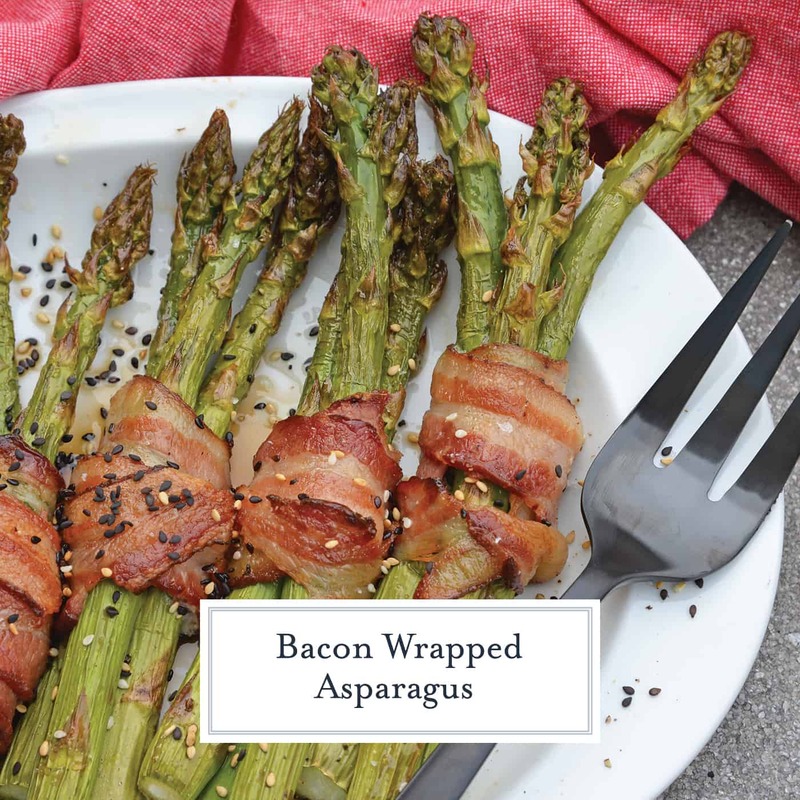 It is quite easy, after you have washed and patted the asparagus dry, wrap 3-4 pieces of asparagus with one slice of bacon. 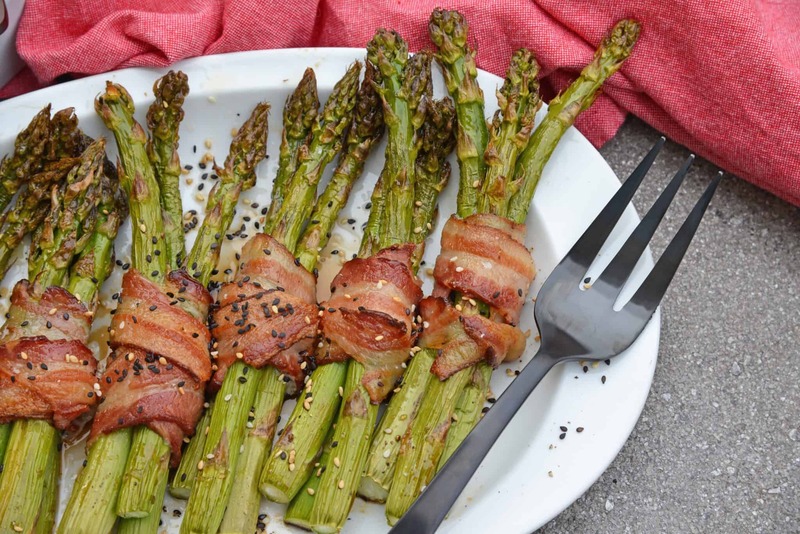 PRO TIP: Use a thinner cut of bacon to ensure both the bacon and the asparagus bundles cook thoroughly. This is one of the few times you don’t want a super thick cut piece of bacon. Your goal is to have the asparagus and the bacon cook at the same rate. If the bacon is too thick then it won’t be nearly done when the asparagus is already starting to look all dry and crinkly. After wrapping with bacon, set the bundles seam down on a rimmed baking sheet. They will release a little water, so a rimmed baking sheet is best for containing. 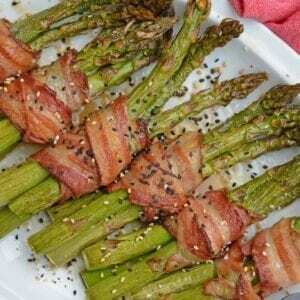 You want to flip the asparagus over after 5 minutes, cook for 5 more minutes or the stalks are soft and bacon is cooked. This helps the bacon cook evenly. It is the same amount of time as cooking asparagus in a single layer, but you’ll need to rotate it for the full effect. PRO TIP: You can substitute white or purple asparagus for green asparagus in most recipes. Some folks use one slice of bacon per asparagus spear, but I find the bacon to asparagus ratio to be off. I want to be able to taste the delicious asparagus, so using 1 slice per 3-4 spears works better for me. When picking your produce, look for asparagus bundles that are plump and firm with tips that are tightly closed, not splayed. I prefer thinner stalks, but thicker stalks are okay as well. Make sure to trim off any discolored or woody pieces at the end. 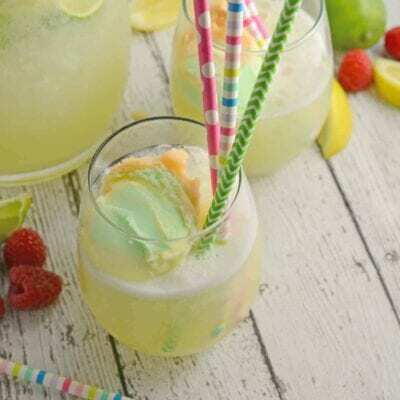 Craving sweet and salty is also the story of my life! Soy sauce with a sticky sweet element is just the tang it needs. While sometimes I use a sweet marmalade like apricot preserves, other times I don’t have that on hand, so I use agave nectar or honey. Even just brown sugar works too. 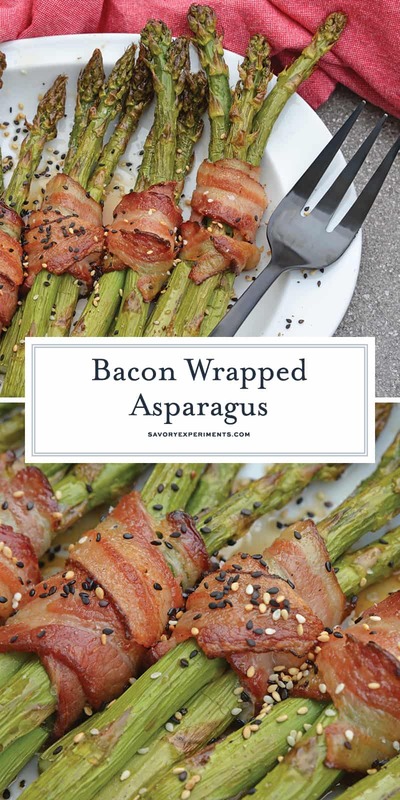 And if you aren’t already convinced that Bacon Wrapped Asparagus needs to be added to your regular recipe rotation, you should also know about the health benefits of asparagus including being fat and cholesterol free with nearly no sodium. It is also considered a good source of potassium, fiber, thiamin, vitamin B6 and is only about 4 calories per stalk. PRO TIP: If you liked the tips of asparagus to be a little crispy and crunchy, turn the broiler on high for 2-3 minutes at the end of cooking. 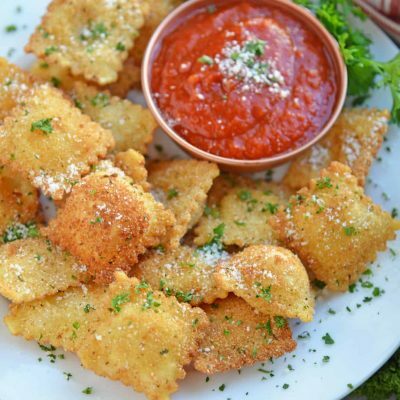 Watch carefully as the broiler can burn food super fast! Because of the low amount of pesticides used, asparagus is one of the safest crops to consume. It is one of the few foods that does not need to be purchased organic. More asparagus for all! Michigan is known as the asparagus capital of the world and holds the Asparagus festival in June. June is the season for asparagus, but it is relatively short so up to 60% of asparagus is pickled, canned or otherwise preserved. Asparagus can grow 10 inches in a 24 hour period of time! All asparagus is white until it reaches the top of the soil and photosynthesis turns it green. White asparagus is much more expensive because the process of digging it up is labor intensive. Purple asparagus turns a deep green when cooked. Asparagus is part of the lily family. Asparagus was once a prized food with both medicinal and aphrodisiac qualities. A mature field can produce 25-25 rounds of crops per season. 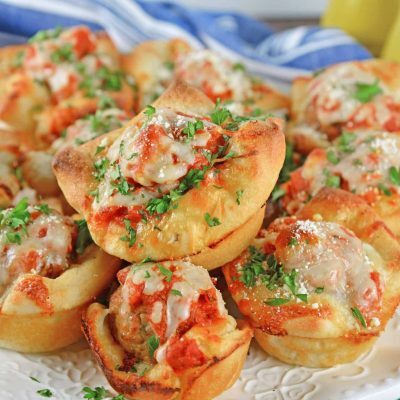 Rimmed Baking Sheet– another kitchen staple! You’ll use this for prep work, roasting and much more. I have 7 at my house. Heat oven to 400 degrees. Spray a rimmed baking sheet with cooking spray. 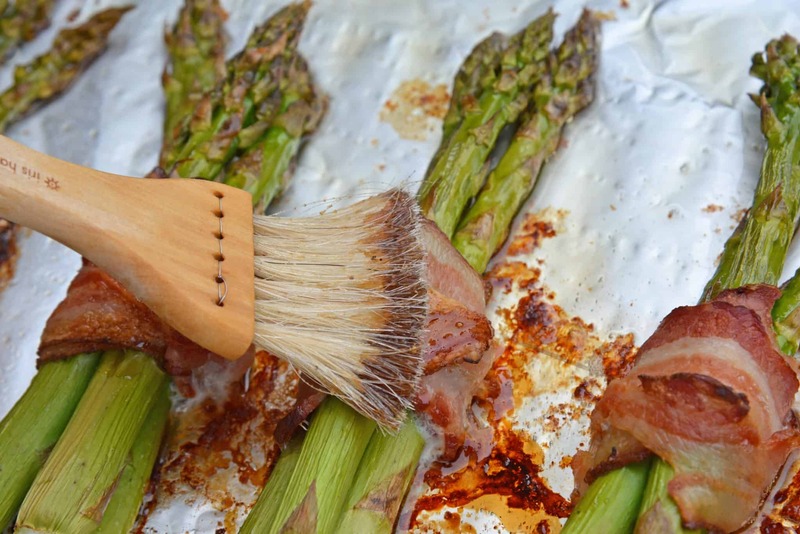 Wrap 3-4 asparagus spears with 1 slice of bacon, tuck in the ends and lay seam down on the baking sheet. Cook asparagus for 5 minutes, remove and turn over, cook for an additional 5 minutes or until stalks are soft and tips are crispy and bacon has cooked. While asparagus cooks, whisk honey, soy sauce, garlic powder, fine sea salt and ground pepper in a small mixing bowl. Remove from the oven and glaze with honey mixture and sprinkle with sesame seeds. Serve. If you liked the tips of asparagus to be a little crispy and crunchy, turn the broiler on high for 2-3 minutes at the end of cooking. Watch carefully as the broiler can burn food super fast!